Robin provides strategic support to the firm by coordinating all business operational activities to ensure they remain aligned with Trellis’ mission and core values. Working closely with firm leadership, Robin is responsible for establishing and maintaining processes and procedures, seeking out Continuing Professional Education opportunities, and managing, modeling, and maintaining best practices standards for our electronic database. She also coordinates Trellis’ compliance activities in partnership with our Chief Compliance Officer. Prior to joining Trellis in 2010, Robin put her outstanding work ethic and client service orientation to good use as an Office Manager, a self-employed Medical Transcriptionist, and a Registered Nurse. 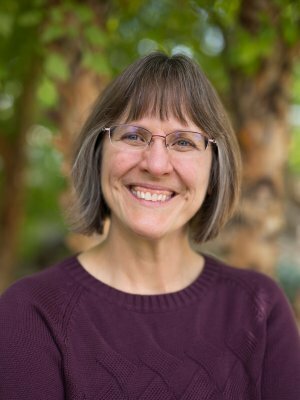 Robin earned her Bachelor of Science degree in Nursing at Seattle Pacific University where she earned the Outstanding Senior Nurse Clinical Practioner award. Robin enjoys weaving and spinning wool, reading, and spending time in the outdoors with her husband, John. They have 2 grown daughters. Robin works in our Ellensburg office.